Brown trout and especially landlocked salmon make for awe-inspiring opponents at the other end of the line. 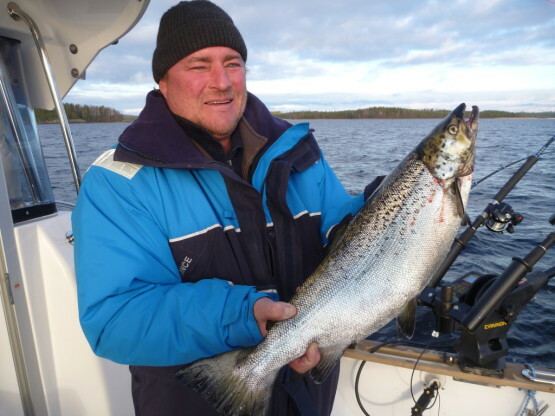 We follow the principles of sustainable fishing and only organize salmon species fishing tours during the cold water season so that possible catch and released fish have a better chance of survival. With salmon the catch is never guaranteed but our very extensive fishing experience has allowed us to increase the odds of a successful outing. 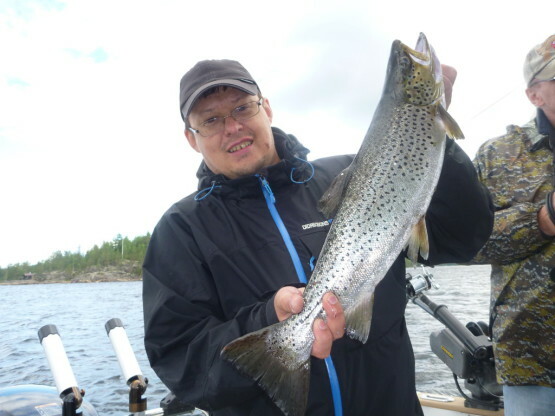 Trout and salmon fishing is an activity reserved for true fishermen with enough patience and perseverance brought by experience. We fish for salmon using our company’s own Jackpot named bait holder with real bleak and vendace for bait. This is an extremely interesting and challenging form of fishing. 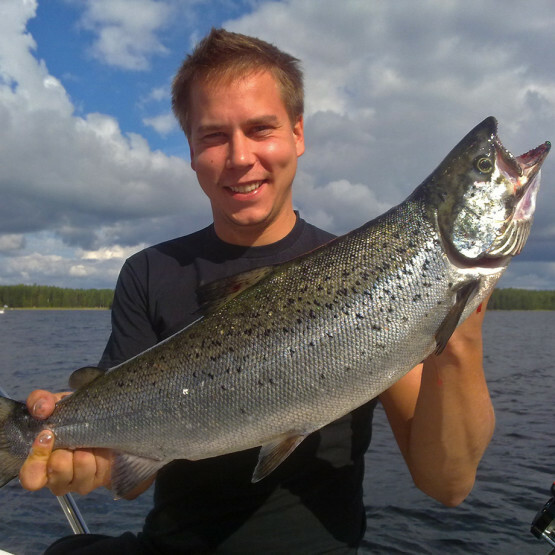 The boat used on these tours is the Axopar 28 Cabin. 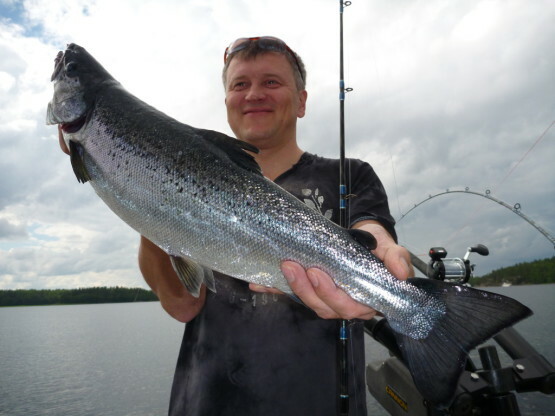 You can also ask us about our extremely popular courses on the use of bait holder in fishing. 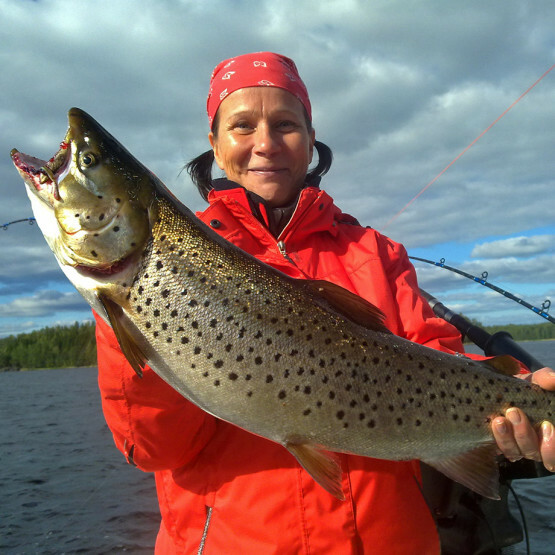 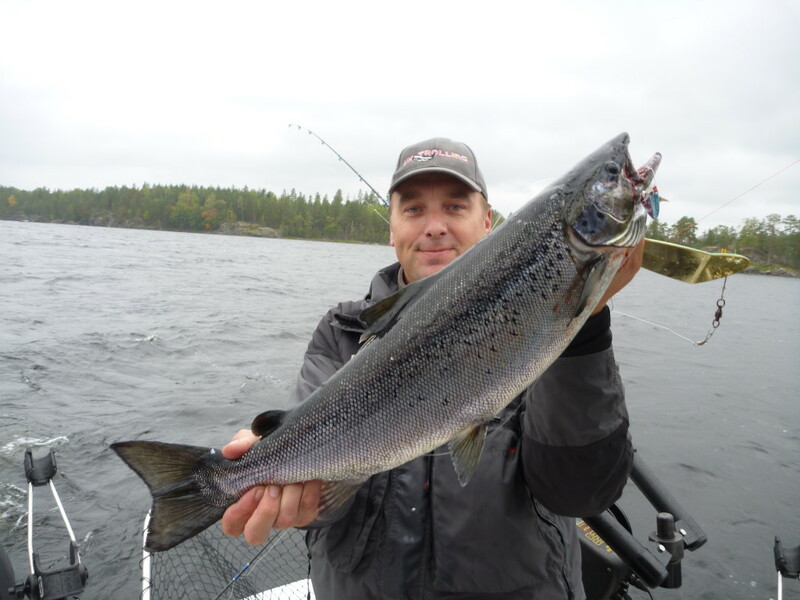 The seasons for salmon fishing in Lake Saimaa are the month of May and from early September to the end of November.